Notre Dame Cathedral in Paris is on fire, and now, part of the structure’s spire has collapsed in flames. 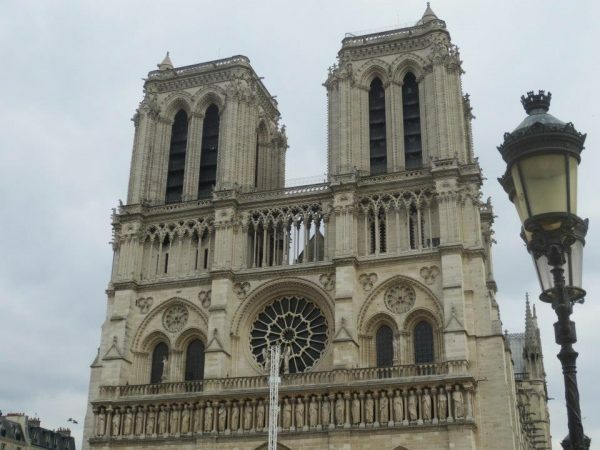 Firefighters are responding to the scene, and the cathedral has reportedly been evacuated. The cause of the fire is unknown as of this time. Other photos and videos, even live feeds, were being posted to social media. No details about the cause of the fire or if anyone was inside at the time, or still remains inside, were available right away.